Join us on the mall this Father's Day weekend where we have lots of fun for the whole family. On Saturday 16th June from 12-4pm pop in to our kids club where you'll have the chance to make a card, fridge magnet or bookmark for your Dad! There will also be giant games and plenty of fun. On Sunday 17th June 2-5pm bring your Dad into the centre to try his luck in our penalty shoot out games and kids will be treated to balloon modelling too. 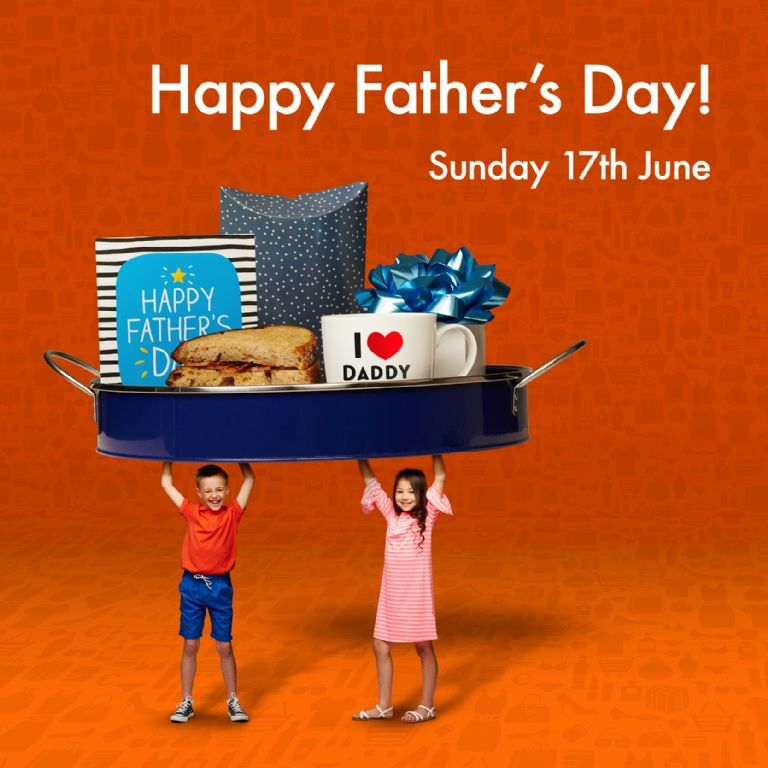 With loads of top stores to choose from such as Debenhams, Jack n Jones, River Island, Next, Carphone Warehouse and more you will be spoilt for choice for your Father's Day present this year. And if you struggle to choose never fear The Quays Gift cards are the perfect gift as they can be used in all of our stores including the Omniplex and all food outlets. Grab yours from the Customer Service Desk.